Let’s get one thing clear at the beginning of this post- this is not a fancy recipe! 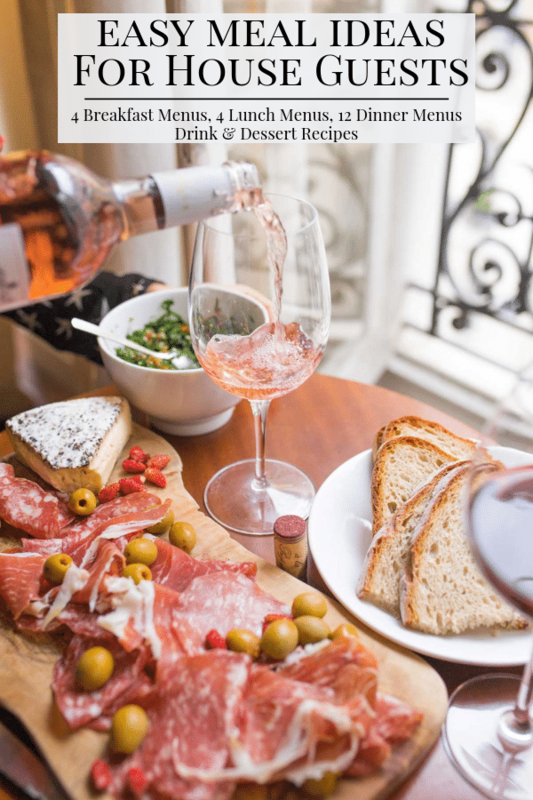 Probably not a recipe you would want to entertain with. This is more of a “let’s get dinner on the table” type of recipe, because sometimes making dinner needs to be fast and delicious. Catalina Bean Burritos only requires 4 ingredients and comes together in minutes, like 10 minutes. Now that is a fast dinner! Not to mention it is super delicious, and that is a winning combo in my kitchen! 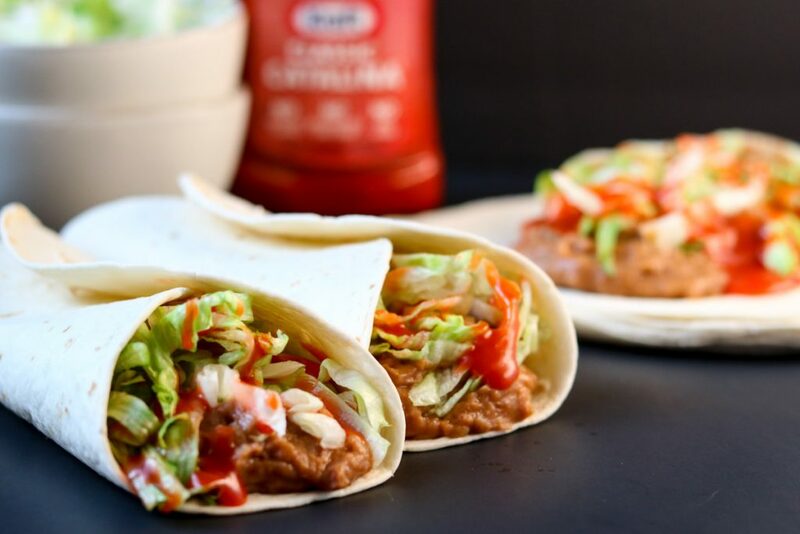 Warm salty refried beans get wrapped in a soft taco or burrito shell, top that with some crisp shredded iceberg lettuce, then drizzle the sweet catalina dressing over the top. It has the perfect combo of soft and crunchy, and sweet and salty. 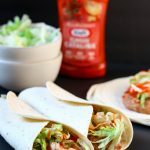 This bean burrito recipe is a great way to get the crew fed without going thru the Taco Bell drive thru. Not many people know this, but from the time I was about 12 until I was 27, I was a vegetarian. I ate dairy and eggs, but no meat or meat products. 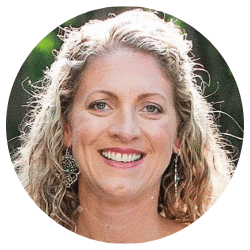 It all stemmed from a bad dream… a powerful bad dream! Still gives me shivers! When my husband and I were dating he was unknowingly swept into my vegetarian lifestyle, bless his meat-eating heart, he never complained! I always tried to make filling type veggie dinners so he wouldn’t feel like we were living on lettuce. Our dinners consisted of a lot of potatoes, pasta, and bean recipes. One of our very favorite dinners. that we ate on repeat, were these Catalina Bean Burritos. It is a great vegetarian bean burrito, yet delicious enough to satisfy a meat eater! I should also mention that before I met my husband he was basically addicted to Taco Bell. I was not about to eat at Taco Bell 3-4 times a week. 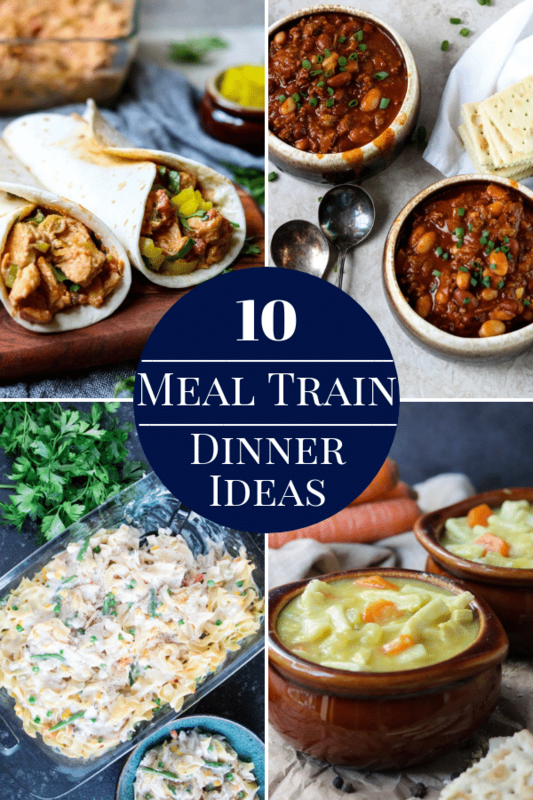 So, this recipe gave him a little Taco Bell Burrito fix without eating fast food every night! 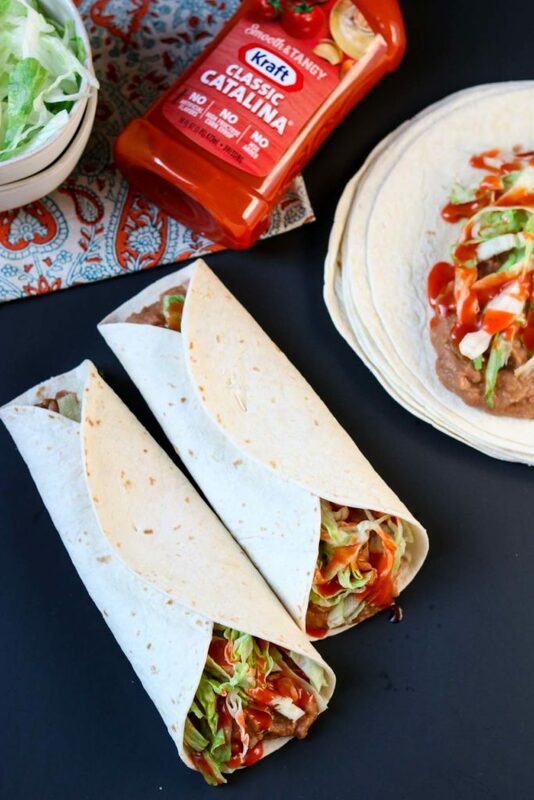 This is an amazing bean burrito recipe to plan on nights when you are too tired to make dinner, or you are rushing out the door to the next activity. Since it is such an easy burrito recipe I like to keep any side dishes easy as well. Chips and salsa always go great with burritos. Store-bought frozen rice mixed with a little lime juice and cilantro would make a quick and delicious option too. We love Trader Joe’s frozen basmati rice, the rice cooks in 3 minutes in the microwave. If you have a little extra time my Fresh Pineapple with Citrus Herb Glaze or Restaurant Style Salsa and chips would make a great side dish to these easy bean burritos. If your family is not a huge fan of refried pinto bean burritos you can always swap them out for refried black beans. 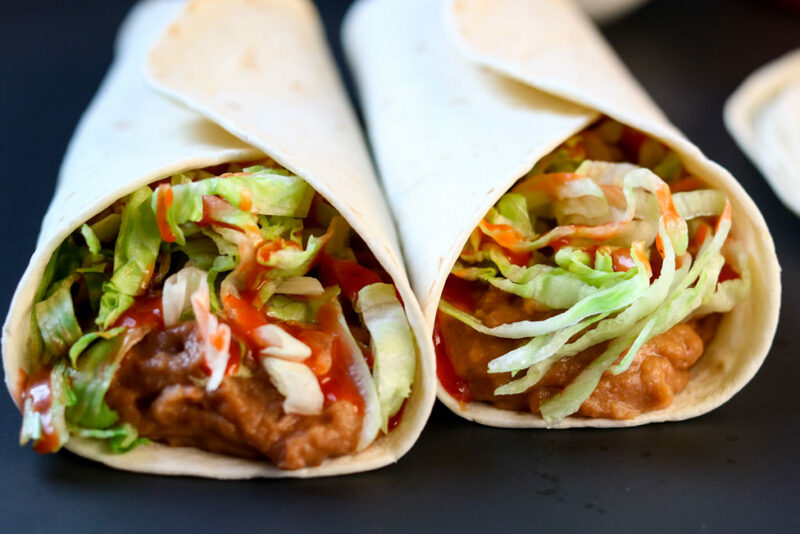 Do you love how easy this bean burrito recipe is!? Let me know! Comment below, rate the recipe, or share in on social media so your friends can love it too. 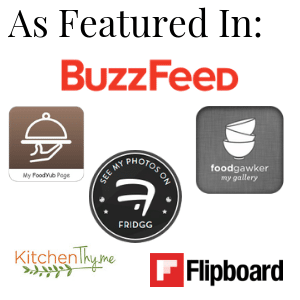 The buttons at the top of the page make it super easy to share on Pinterest, Facebook, or Twitter. I hope you give this recipe for Catalina Bean Burritos a try in your kitchen. 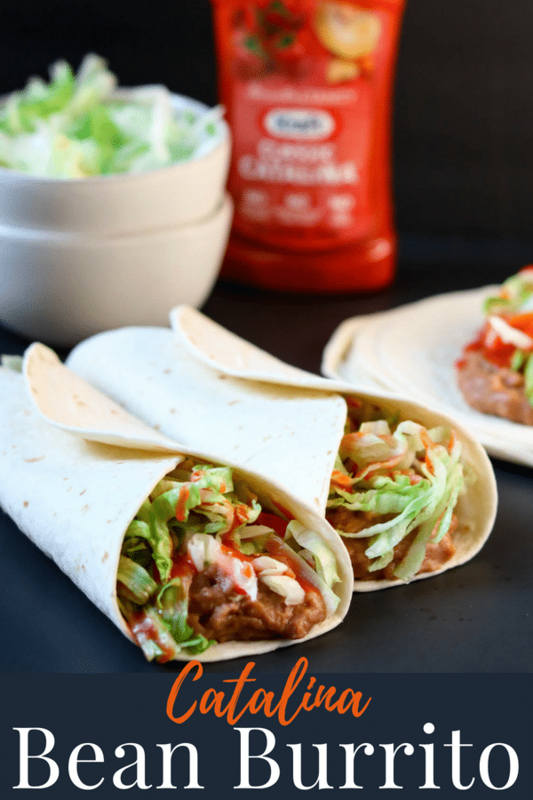 Catalina Bean Burritos are an amazing bean burrito recipe with a great mix of crunchy and soft, and salty and sweet. It is a fast burrito recipe that is ready in 10 minutes. Which makes it a great recipe to help you avoid the Taco Bell drive thru. This is the refried bean burrito recipe you need on busy nights. Warm the refried beans in the microwave, about 1 min 30 sec. .
Wrap the tortillas in damp paper towels and microwave until warm, about 30 sec - 1 min. 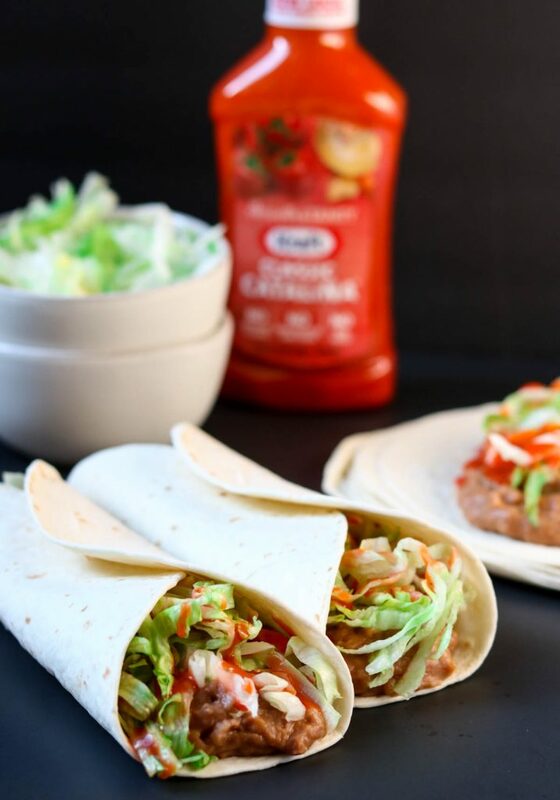 Assemble- place a generous amount of beans down the center of the warm tortilla shell, top with iceberg lettuce, drizzle desired amount of Catalina dressing over the lettuce. Wrap the burrito up and eat! This looks amazing. Unfortunately, they don’t sell Catalina at my grocery store. But I’ll keep this recipe for when I do find it. If they have french dressing that would give you a VERY similar flavor! I am totally into “just get dinner on the table” meals. Weekdays are busy (well so are weekends in this blogging lifestyle…) and I just don’t have much time to cook at night. With 4 ingredients and 10 minutes, I’m sold! Great recipe Susie! 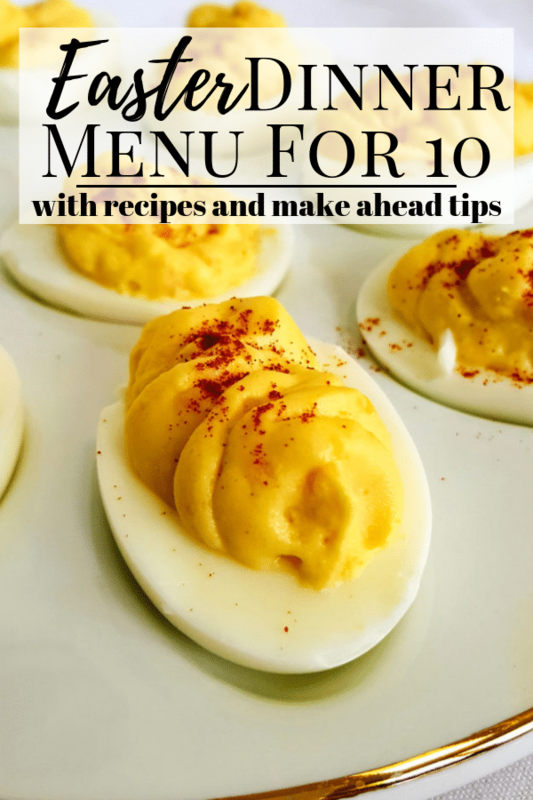 This recipe is SO easy and fast…. it’s a great way to get dinner on the table when you are still shooting a recipe at 5:30pm.